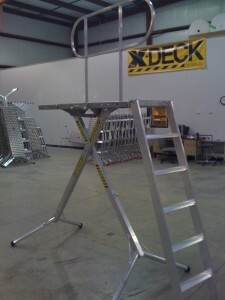 Add a detachable ladder to any X-Deck. – Handrails for the detachable ladder are available. We will make your X-Deck without rungs when you add this accessory. Call for a quote or add this to your order and we will call you and let you know the additional cost.